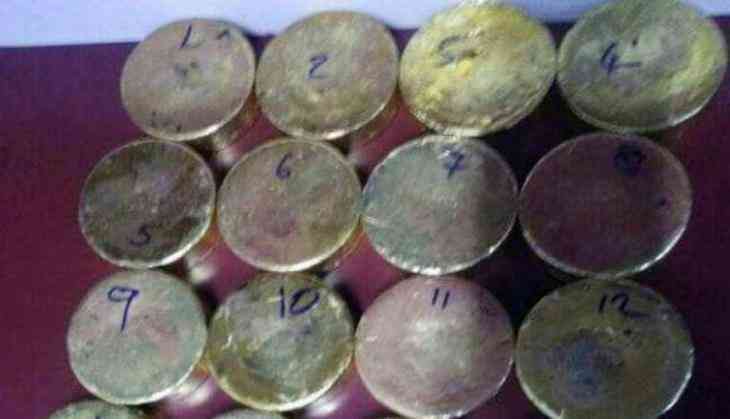 The Directorate of Revenue Intelligence (DRI) seized consignments of smuggled 50-kg gold at the Mumbai International Airport on 22 December. Acting on a tip-off, the DRI officials and Mumbai Customs successfully made the seizure from a DHL courier packet which arrived from Gulf region. As per sources, the consignees of this courier at both Gulf and Mumbai have used bogus details to hide the identity of the real beneficiary. "The investigation is under progress. Our team is getting into the roots of this consignment," the source said. In another case, on Wednesday night, the Air Intelligence Unit (AIU) retrieved 4.7 kg of gold from an Air India aircraft parked in the hangar of the Mumbai Airport. "The gold includes 26 bars worth Rs 1.25 crore was hidden in a cotton cloth bag tied with a black nylon rope to the panel of aircraft. After much difficulty, the bag was retrieved. On opening the bag, two large packets were found which were wound with black and green cellphone tape," informed a custom official. The first packet had two gold bars of one kg each and four bars of 116 grams each, while the second packet had 20 gold bars of 116 grams each. The official said, "It is extremely difficult to hide smuggled gold under the carpet of aircraft by a common air passenger. Hence, we suspect someone from the engineering section may be involved into the smuggling racket. The investigation is on." In yet another case the same night, one Sudanese woman passenger was arrested for bringing in five pieces of melted gold weighing 410-gram worth Rs 10 lakh. In a fourth case, one Khalifa Hassan holding Sudanese passport was arrested for smuggling in his undergarment 20 gold bangles worth Rs 35 lakh and weighing 1393 grams.